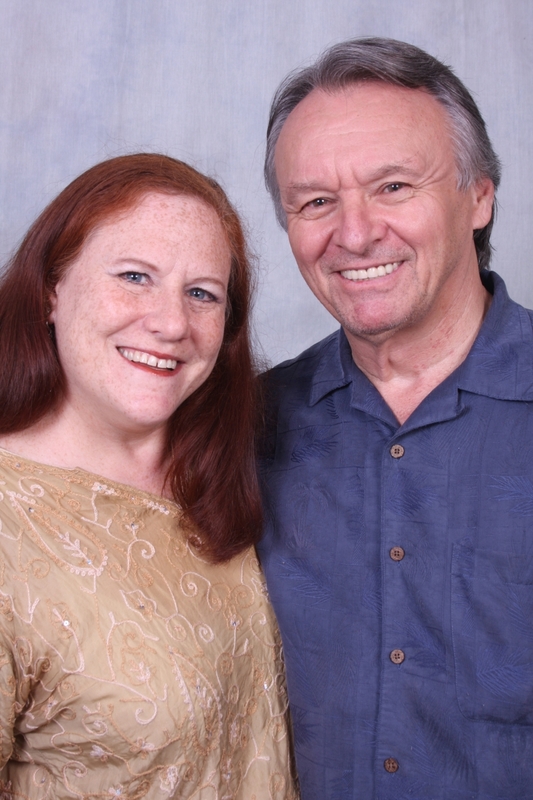 On a May afternoon in 1986, Wolf Guibbory had a lunch date with his ex-girlfriend, Vera. He shared with her the adventures of his maiden trip to the enchanted island of Bali: the emerald green rice terraces, the azure blue waters and the exotic Balinese culture were already indelibly etched in his memory. However, what set this trip apart from any of his previous travels were his personal experiences with the remarkable inhabitants of the small villages and hamlets that span the island. The sweet scent of incense, the haunting reverberations of gamelan melodies, the procession of bejeweled villagers in their multicolored costumes, all of this served as a backdrop from which Wolf came to know these most gentle and playful people. He was clearly smitten, but there was something troubling about his experience as well. These were such loving and deeply spiritual people, yet there were so many who lived in conditions of poverty and squalor, conditions not normally associated with this fabled ‘island of the gods’. Although he had known these people for no more than a few weeks, their unaffected nature made him feel as if they were already old friends and his inability to affect any positive influence in their lives was disconcerting to him. During their lunch date, Wolf showed Vera some beautiful hand wrought jewelry he had picked up during his last week on the island. He was planning to start a small business, with aspirations only to be able to revisit this wonderful place and perhaps add a little extra to the purses of his newfound friends. As fate would have it, Vera was ready for a change in her life as well, and soon after joined Wolf as his business partner. For three years they worked just enough in other jobs so that they could reinvest all their revenues from jewelry sales into their new venture. 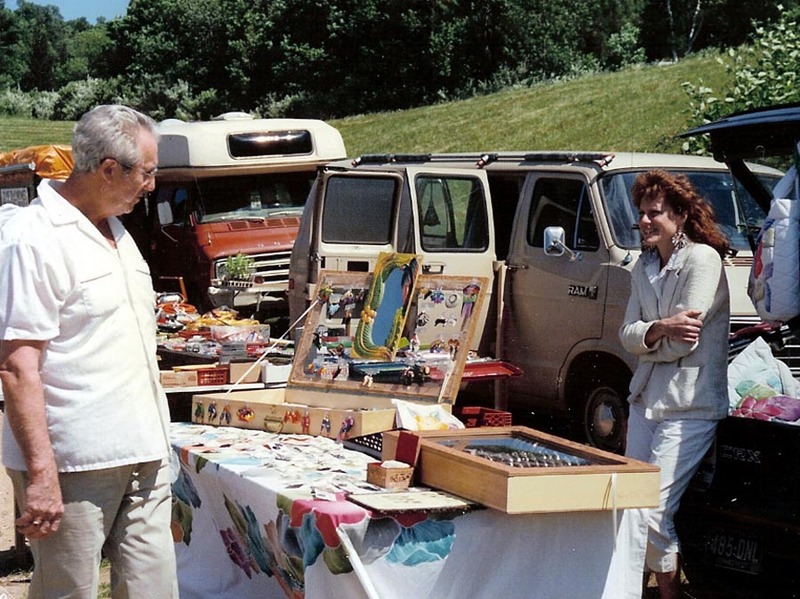 Wolf would hit the road, canvassing towns for prospective accounts until they were able to afford their first wholesale show. 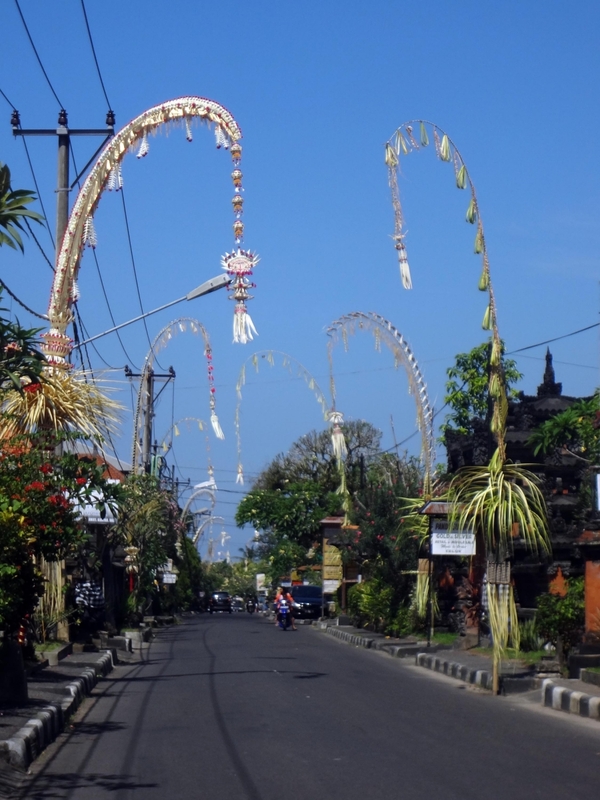 It was from this ‘sweat equity’ that they grew their business, never feeling too removed in the spiritual sense from their sisters and brothers in Bali. As demand increased, they continued to work with the same small family operations, retaining their commitment to people who would otherwise be working at half wages for the larger local producers. 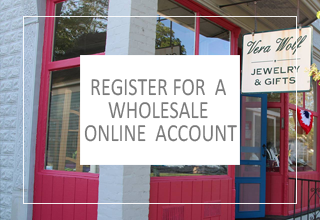 Virtually all of their silversmiths have been with them from the beginning - growing their own businesses as VERA WOLF has expanded their operations. 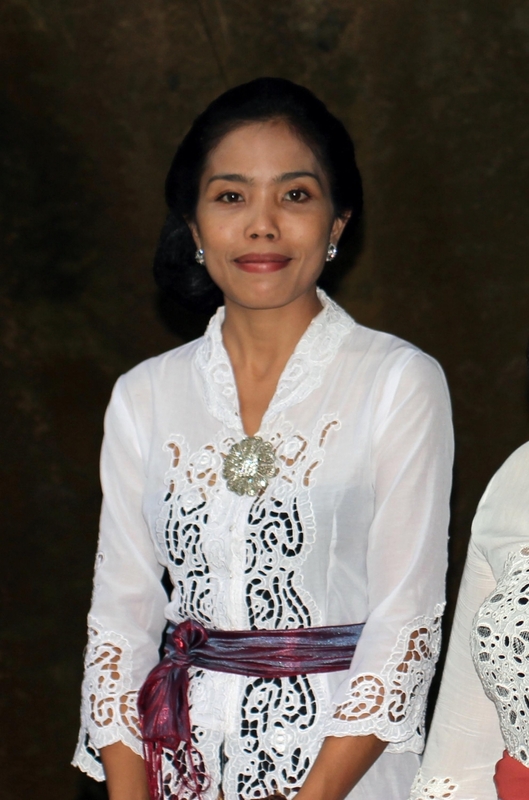 VERA WOLF has grown over the years and the result has been a dramatic increase in the living standards of so many of their friends in Bali. 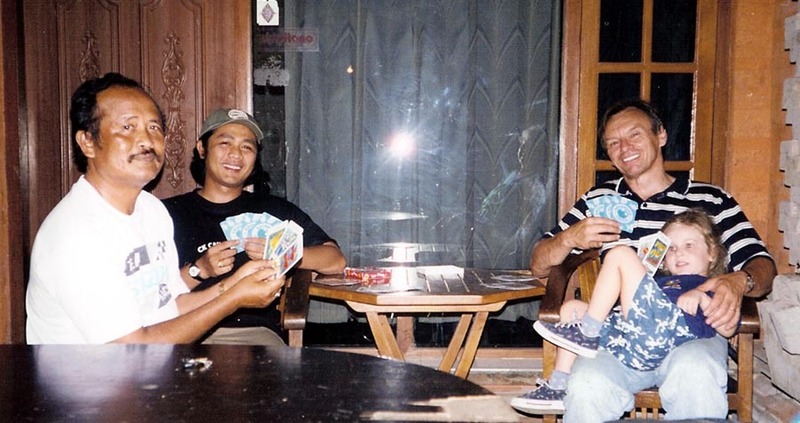 While this has been a source of great satisfaction, their happiest moment occurred on the rice terraces of central Bali in May 1987, where Vera accepted Wolf's proposal of marriage, thus solidifying a partnership their friends knew was inevitable from their first date on Mother's Day, 1979. 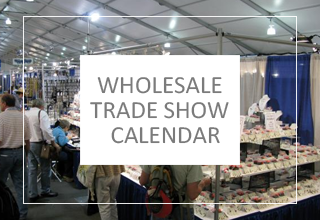 Wolf does the design and production, and remains the road warrior to this day, at wholesale shows and still visiting many of their accounts, just as he has been doing since 1986. Vera takes care of the administration and oversees the operation of their retail store. 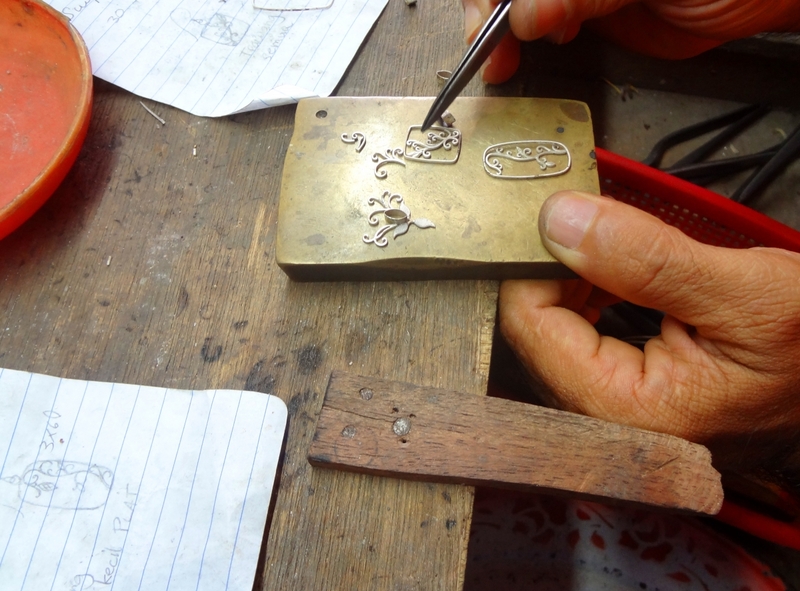 Their talented and industrious crew keeps the jewelry flowing from their offices in the beautiful Connecticut Yankee town of Guilford. Their customers know them as providers of extraordinary value in the market, offering clean and graceful designs with beautiful gemstones at affordable prices. Enjoying 'kelapa muda' or coconut milk, fresh from the tree, while visiting one of our silversmith's family in1990 – had to trek over a mile on a footpath to reach her home. 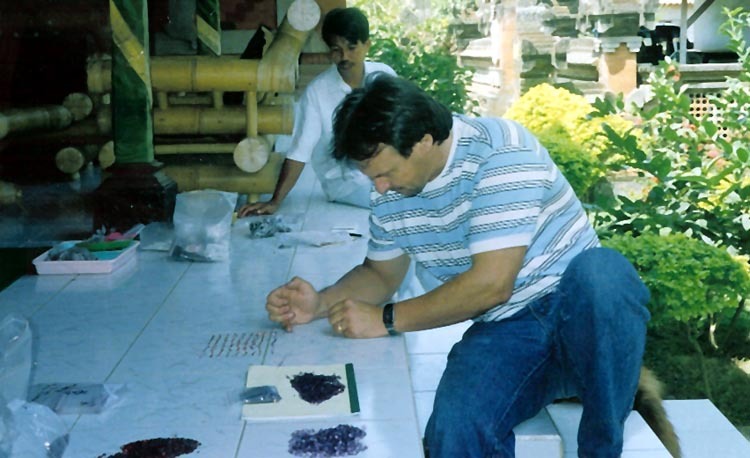 Enjoying a lighter moment with our Balinese family and daughter Lynn, July 2000. Lynn just a few days later – dressed up in the local garb by one of our smiths who fell in love with her. Wolf and Vera with friends, 1986. Their parents would let us take them to our village on across the island for days at a time. 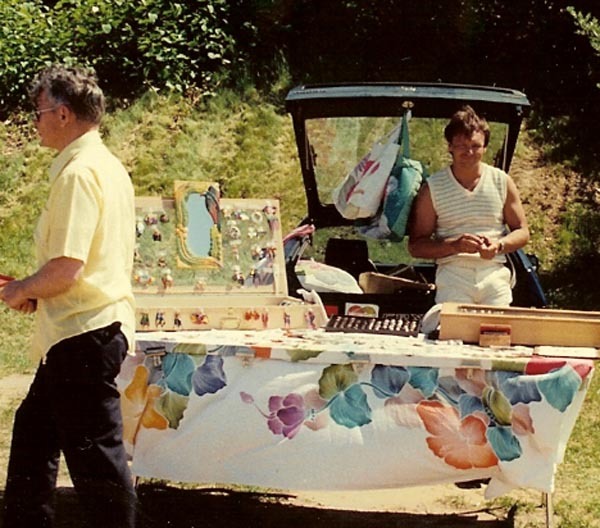 Back then we did not speak the local language; and of course they knew not a word of English – but somehow we enjoyed countless hours of joy together! Wolf's designs being worked into wearable art. 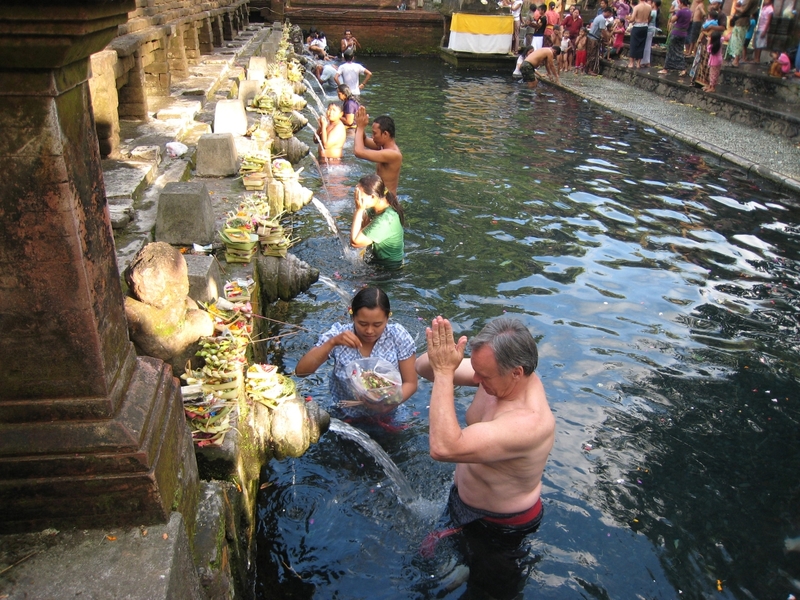 Wolf partaking in spiritual cleansing rite, bathing in 'air suci' or holy water, at a natural spring in the Balinese highlands. 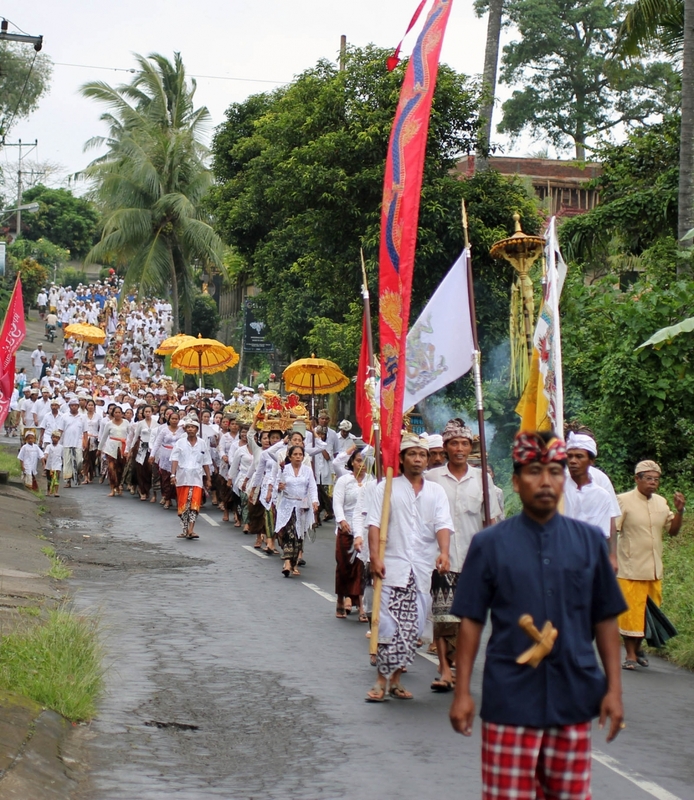 Villagers on the way to a temple ceremony. 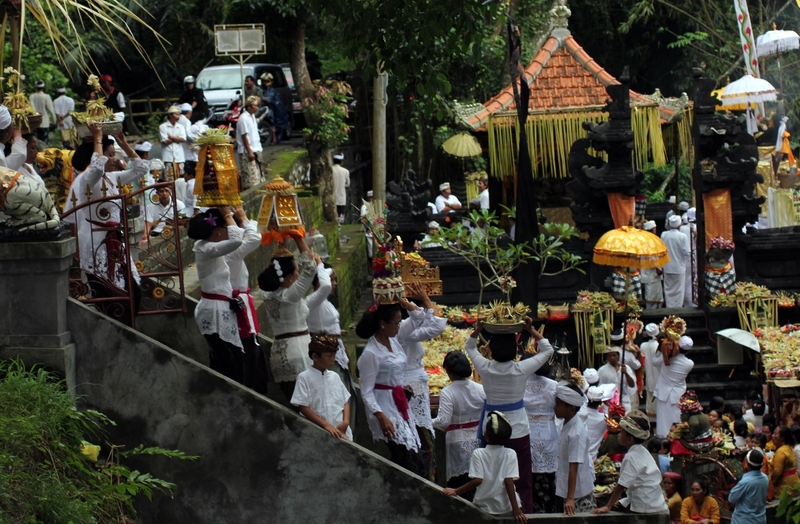 A Balinese beauty leaving the temple. 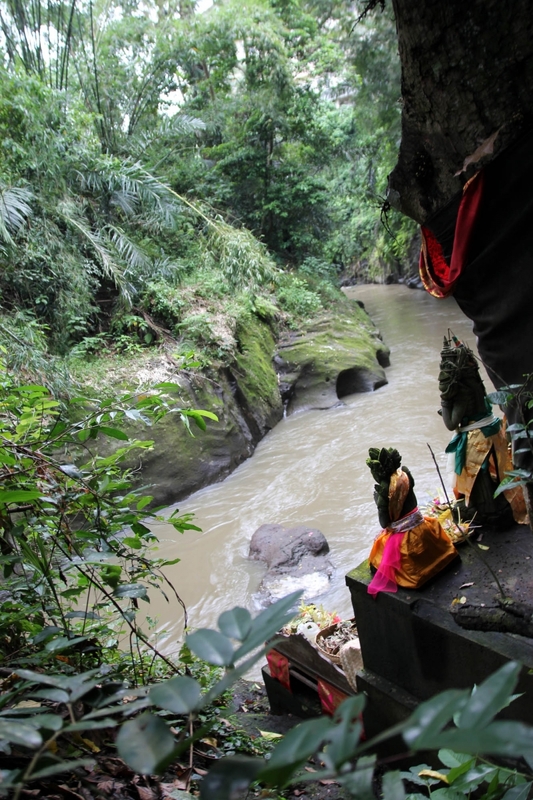 Shrine outside of a temple overlooking a river. 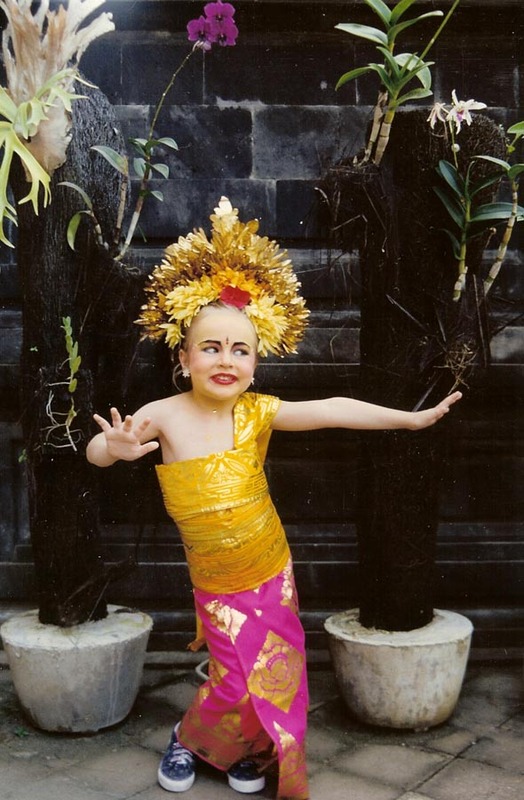 Daughter Lynn dancing in front of the family temple in our Bali home. Villagers bringing their offerings to the Gods. 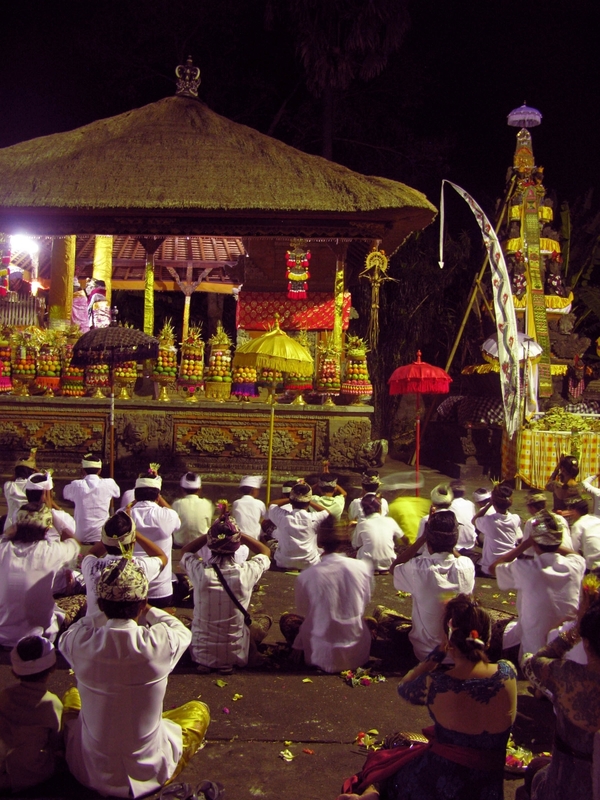 Balinese praying at an upacara, or temple ceremony. 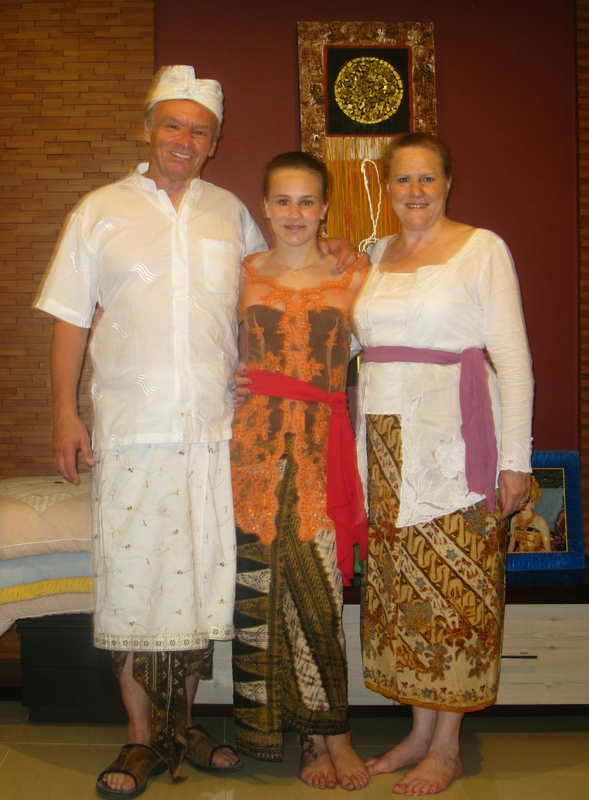 Wolf, Lynn and Vera preparing to join our Balinese family for an evening at a temple ceremony.